The Western Force are set to take on the world… literally. World class Rugby Union returns to HBF Park in 2019, kicking off March 22 when your Western Force takes on former Wallaby coach Robbie Deans' World XV. With brand new rules to speed up the game, the return of the POWER TRY and game night entertainment to match, the Rugby revolution is set to continue in 2019. With teams from across the Asia Pacific region, you can expect fast-paced, entertainment-filled competitive rugby right here in Perth. 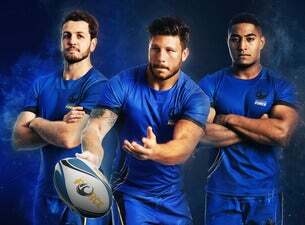 You do not want to miss this historical showcase as the Western Force and Global Rapid Rugby change the face of rugby around the world. Join us at HBF Park and be part of the rugby revolution.